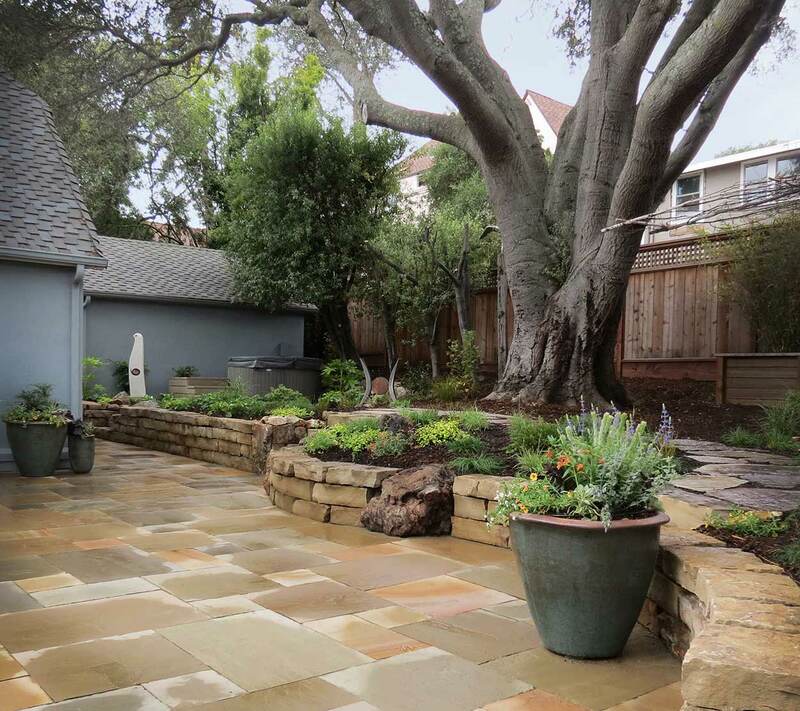 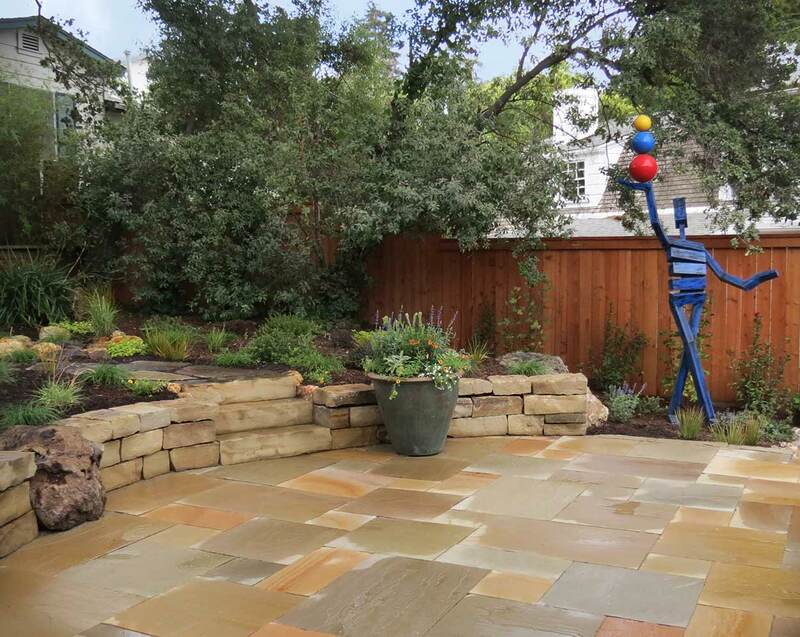 An impressive Coast Live Oak presides over this garden of art and stone. 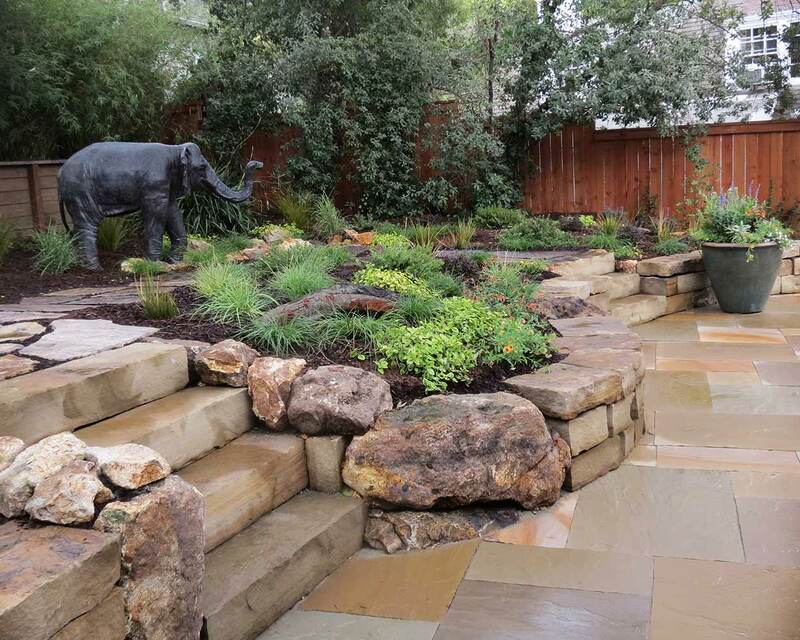 Soft grasses surround the oak and elephant statue as it spouts water from its trunk. 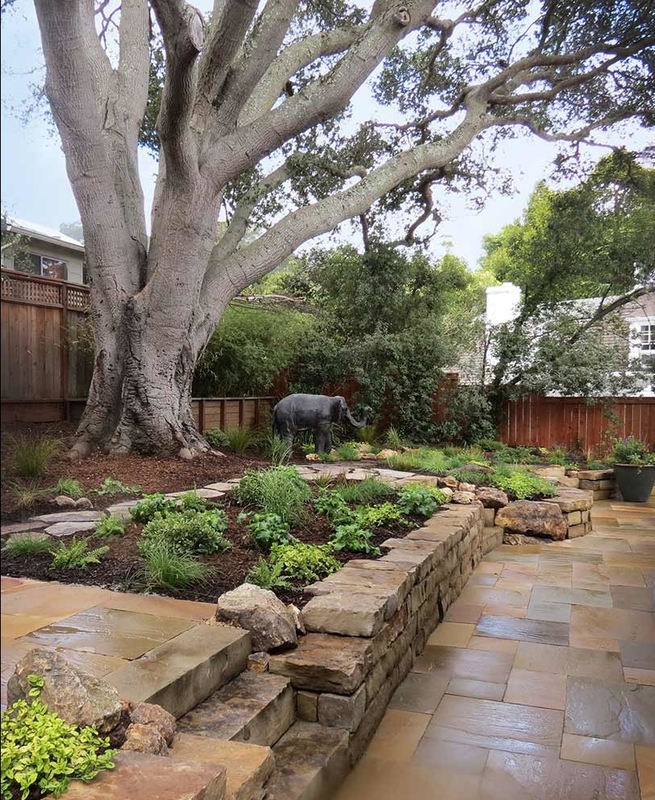 Large native boulders transition through the landscape down over a rough-hewn stone wall and onto a square-cut flagstone patio. 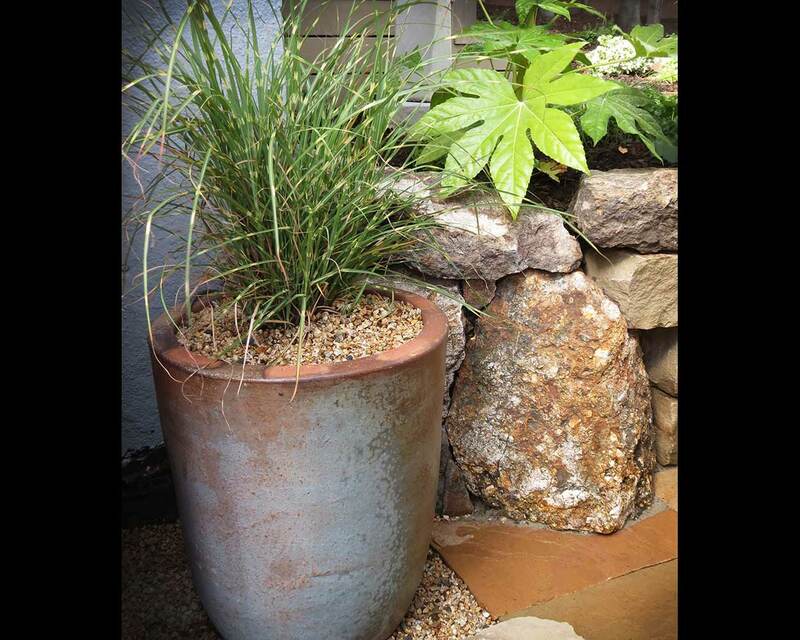 Fanciful art pieces combine with complimentary planted pots to decorate the gathering area.